Travel is often stressful enough without factoring in transportation to and from the airport. You have to worry about boarding passes, making sure you packed everything you’ll need, effectively budgeting your time and more. The last thing you need is to worry about how you are going to get to and from the airport. When it comes to choosing an airport car service, the choice is simple — choose a luxury transportation service like Ohio Luxury Transportation. Here are a few reasons why you should always use a luxury transportation service for your airport car service when it matters the most. Oftentimes, if you need to get to the airport, time is of the essence. The best way to get to the airport as quickly as possible is by hiring an airport car service like Ohio Luxury Transport. When you need a ride to or from the airport, we know that it is crucial that you get a ride that you can rely on. Taxis, Uber, Lyft, and other similar modern services are not always the most dependable because, unlike us, their reputation is unaffected whether or not they are on time. Those services know that even if they are late or don’t show up at all, there are no consequences because people are still going to use their services. At Ohio Luxury Transportation, our drivers are always punctual, kind, and will show up where and when you need them. This is not only because our business depends on us providing an excellent car service, but because it’s the right thing to do. If you need a quick, comfortable, and dependable airport car service in Cincinnati, Dayton, or Columbus, Ohio, reach out to us today! Many of us were born and raised in Cincinnati and still continue to plant our roots here and call it home. This means that we are dedicated to our community and aim to building a lasting and mutually beneficial relationship. At Ohio Luxury Transportation, we know that if we provide an excellent black car service to Cincinnati and it’s surrounding areas, people will want to continue using us for their future airport car service, weddings, or special event transportation services. Since we only hire the best of the best private drivers, you can rest assured that our airport car service drivers possess the traits that make us the quickest, and most comfortable, way to get to the airport. The quickest way by far to get to the airport is to have an airport car service that is always on time. While public transportation is fantastic for day-to-day transportation, going to the airport has higher stakes than daily travel does. 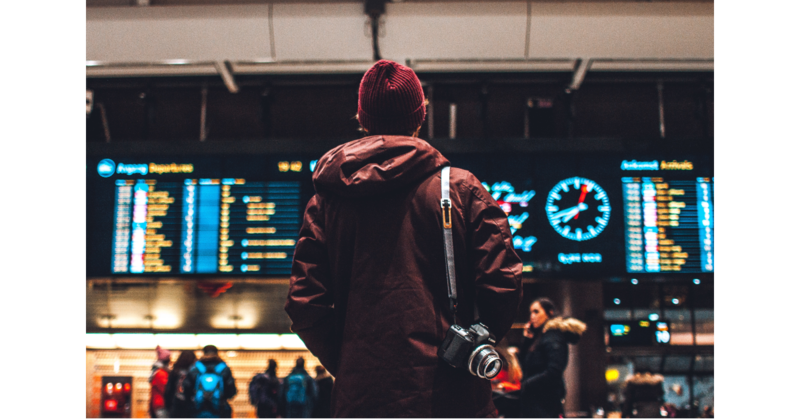 With public transportation, you have to research the bus or train schedule and do some intensive calculations to make sure that you can catch one train in order to catch another train in order to make it to the airport x amount of hours before your flight leaves. Not to mention, you share public transportation with hundreds of other people so it can get a bit loud, dirty, and uncomfortable. When you use Ohio Luxury Transportation’s airport car service, you can be certain that you don’t have to do any complex calculations. It’s simple, schedule your airport car service online or give us a call, and that’s it! We show up when you need us to and take you where you need to go with no loud distractions, dirty public transportation, and in the utmost comfort and luxury. Choose the most reliable transportation option in Cincinnati, Ohio, by hiring Ohio Transportation Services for your airport car service, special occasion, and wedding transportation needs!